U can have it alone or with ketchup of ur choice or with rice and sambar or as a filling for chapathi wraps with other spices.Simply delicious to have at tea-time too.Similarly, u can try this recipe with chicken also.Try this at home and enjoy!. Shred the 3/4th-cooked fish fillets,de-boned them and mix them well with all the other ingredients except oil. 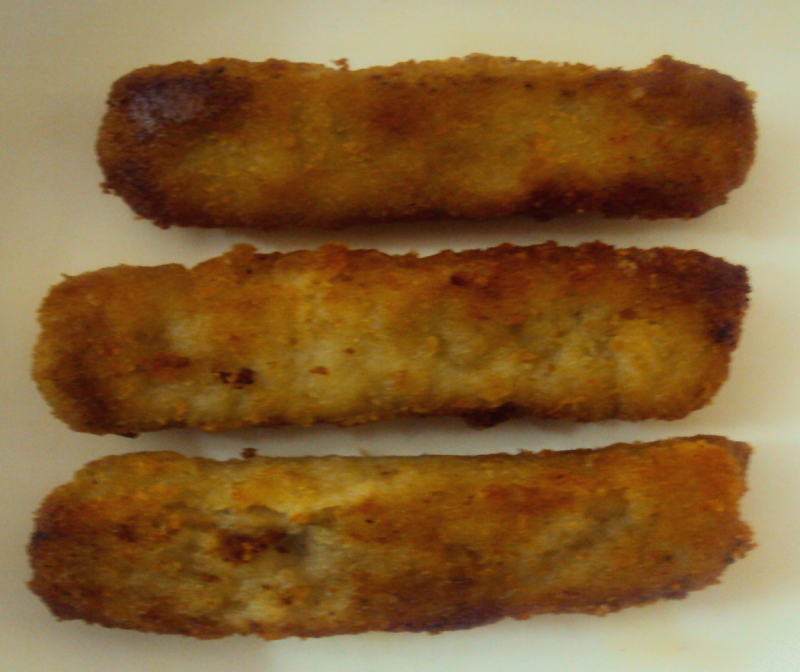 Shape this fish-mix into 3 1/2 inch length sausages . Heat oil in a kadai and deep-fry these fingers till golden brown in colour. Serve this hot with ketchup of ur choice or with sambar and rice or as a filling for chapathi wraps with other spices. Thank u so much rabz. Thanks Christy u know me by now, I have a soft corner for fried stuff.TC. Thank u so much for ur feedback,Areen!. Will try it out soon.Thank you. Fish fillets shd weigh 400gms atleast(3 big king fish fillets or more) .When u mix the 3/4 th done shredded fish with spices,mix them thoroughly for atleast 5 mins.These FF are called mild 'n' spicy cause when u have it alone,they are spicy enough and when u have them as accompaniments they are mild in spice.Happy cooking!.